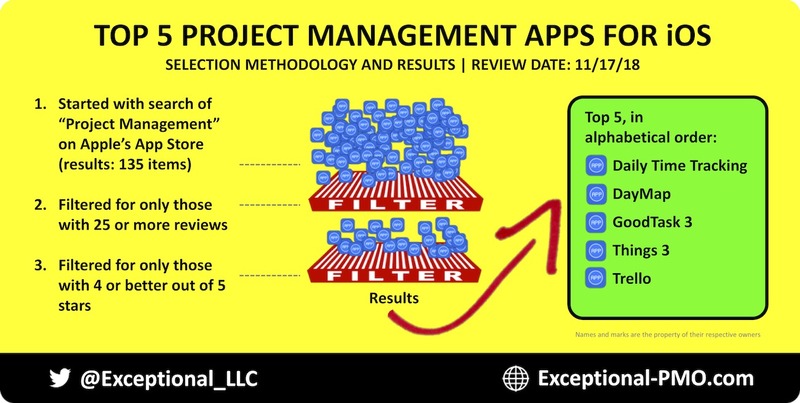 There are many outstanding project management and planning tools. The ability of access, contribute to, and manage data while away from the desk is important. This article focuses on related products for iOS—iPhone and iPad. 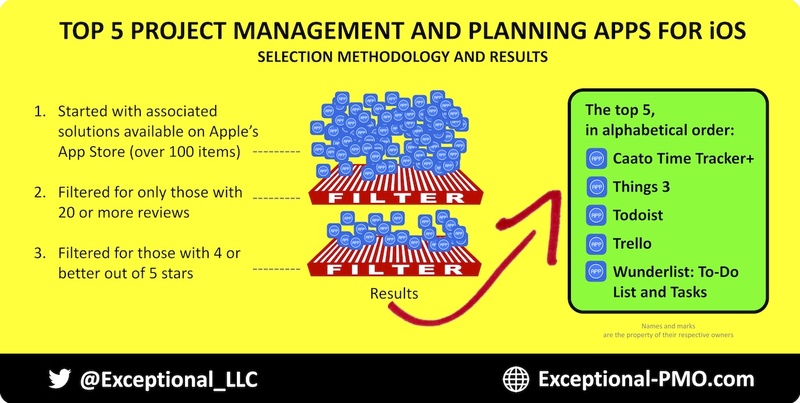 The selection criteria started with associated solutions available on Apple's App Store (over 100 items). The group was then filtered for those—as of the time of this report—with 20 or more reviews and also an average rating of 4 or better out of 5 stars. That resulted in the top five tools. In alphabetical order, they are: Caato Time Tracker+, Things 3, Todoist, Trello, and Wunderlist: To-Do List and Tasks. Each solution is highlighted next. 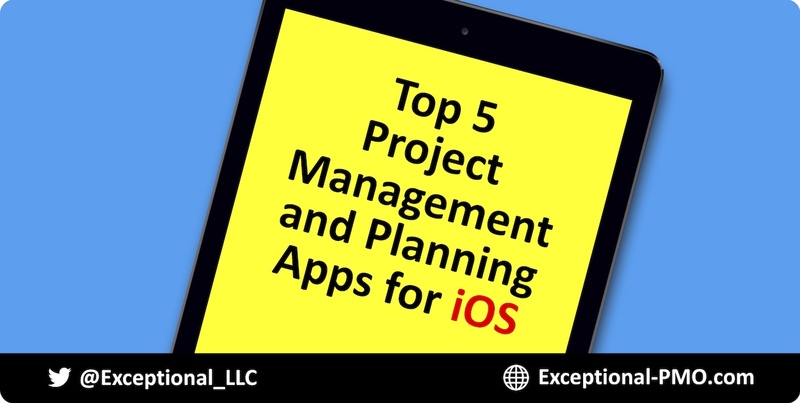 •	Short description: Powerful features include folders, notes, search, Excel export and more. Yet, it's extremely simple to use. •	Short description: With Todoist you’ll enjoy one-click access to everything on your to do list–today, tomorrow, and as far into the future as you need. •	Short description: Wunderlist is the easiest way to get stuff done. Whether you’re planning a holiday, sharing a shopping list with a partner or managing multiple work projects, Wunderlist is here to help you tick off all your personal and professional to-dos.